Ever wondered what the most expensive breed of dog to insure in Australia is? As you can see these breeds are generally large dogs. Does size matter when insuring a dog? Yes it does. Have a look at our cheapest dogs to insure list and you will see that they are mostly small breeds. 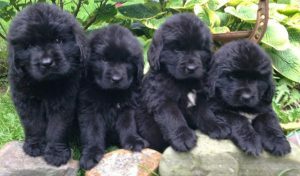 We asked Jen Costello – a former veterinary technician and doting owner of two Newfoundlands, which she blogs about at MyBrownNewfies.com – for some advice on how to deal with the high costs of caring for large, costly breeds.